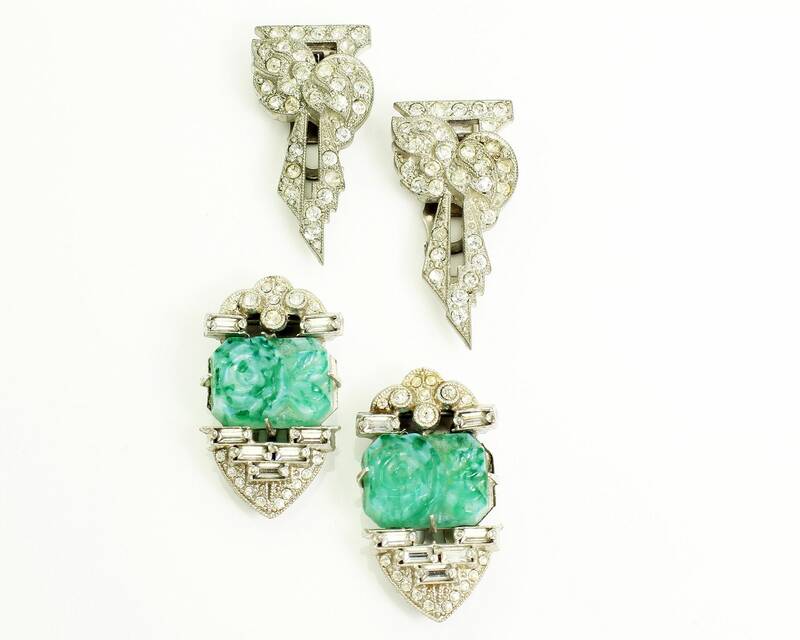 Art Deco Dress Clips of Rhinestones and Jadeite Green Glass - Two Pair. 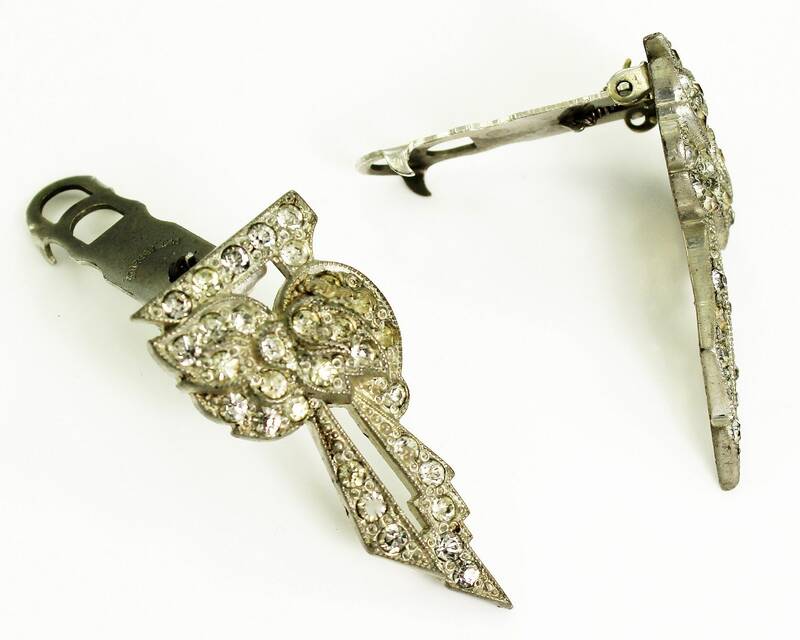 Both pair of these dress clips came from a local estate. They date from the 1930s. 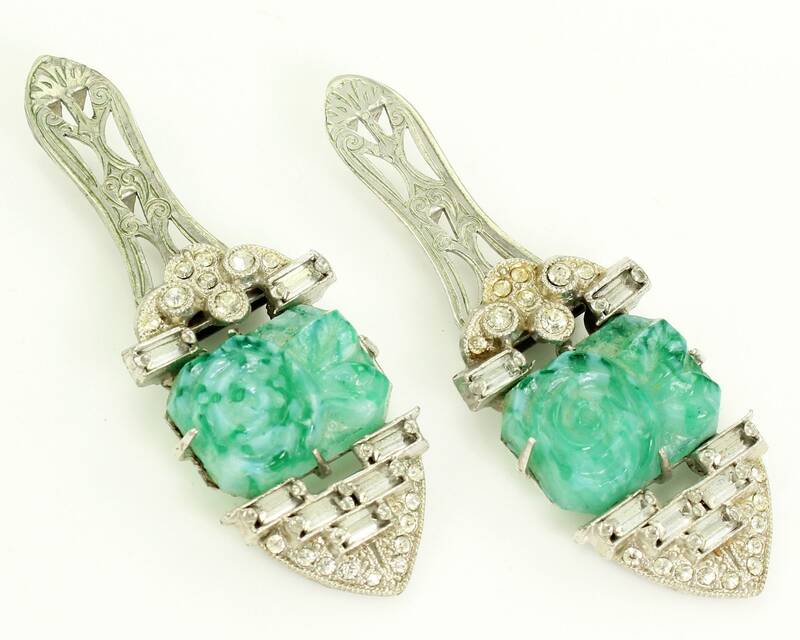 One pair is a grayed silver with clear rhinestones and the other has both clear rhinestones and mottled green glass molded with a flower in imitation of carved jade. 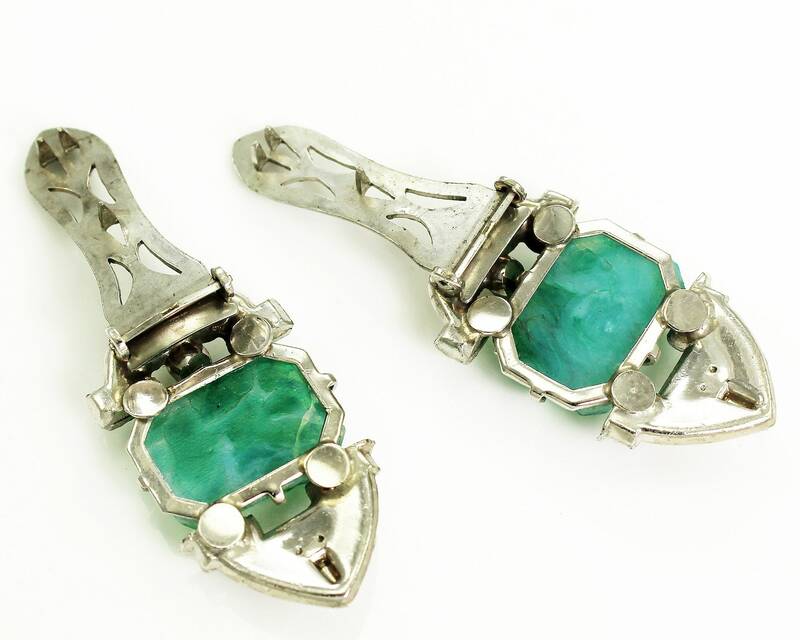 MEASUREMENTS: The clear stone clips measure 1.5" x .66" and the green glass clips measure 1.375" x .75"
CONDITION: Good Vintage Condition with a few stones with minor yellowing. 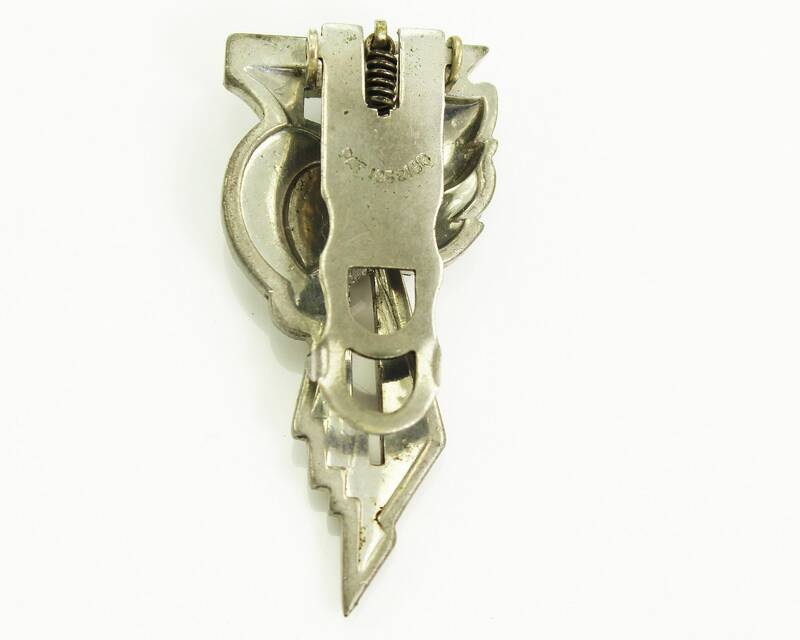 These dress clips were previously owned and worn.